In a case described as “littering while Muslim,” Boston police arrested Amar Ibrahim last Thursday, charging him with littering, as well as disorderly conduct and interference with public transportation, a felony. Ibrahim, after finishing his chocolate milk, tossed the bottle onto the ground, where it landed underneath the No. 66 bus of the Massachusetts Bay Transportation Authority. 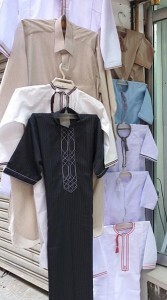 At the time, Ibrahim was described as wearing a thobe, a “common article of clothing for men in some parts of the Middle East,” and head covering. Meanwhile, aboard the No. 66, a bomb scare ensued. As reported, Boston Police Superintendent-in-Chief Daniel Linskey said the bus driver became alarmed when a man in “Middle Eastern garb” “bent down and appeared to be placing a black object underneath the bus as if attaching some type of device….” The bus was evacuated, Mr. Ibrahim was arrested, and a police bomb squad later discovered the plastic bottle. While Mr. Ibrahim was eventually released with no bail (after a night in jail), he still faces felony and misdemeanor charges for a littering violation punishable by a fine (and probably not a night in jail). Of course, one can imagine a more likely punishment for tossing a milk bottle while not in “Middle Eastern garb:” a disapproving glance and no bomb scare.